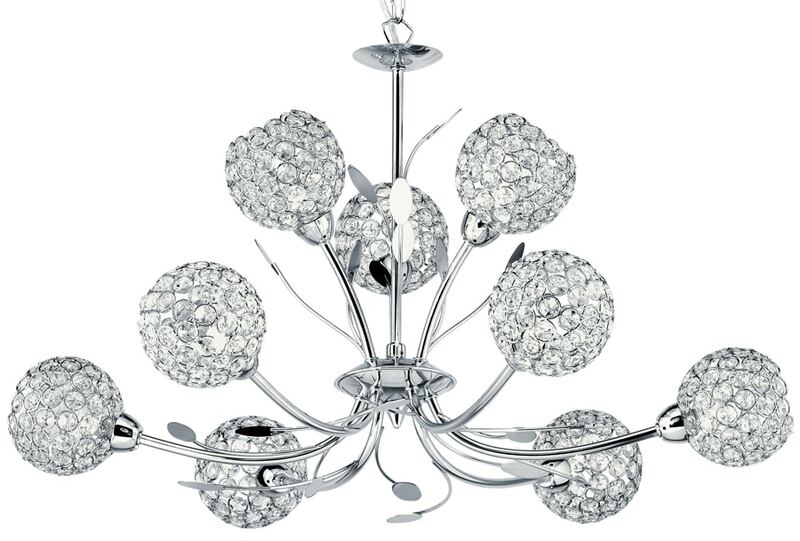 This Bellis II polished chrome 9 light chandelier with clear glass shades is a modern dual mount ceiling light that can be fitted with or without the chain. Modern, stylish and bright, with circular ceiling mount and chain suspension, metal top sconce and central drop rod. Nine curved arms radiate from the lower gallery, with leaf decoration on curved chrome fronds and feature shades. 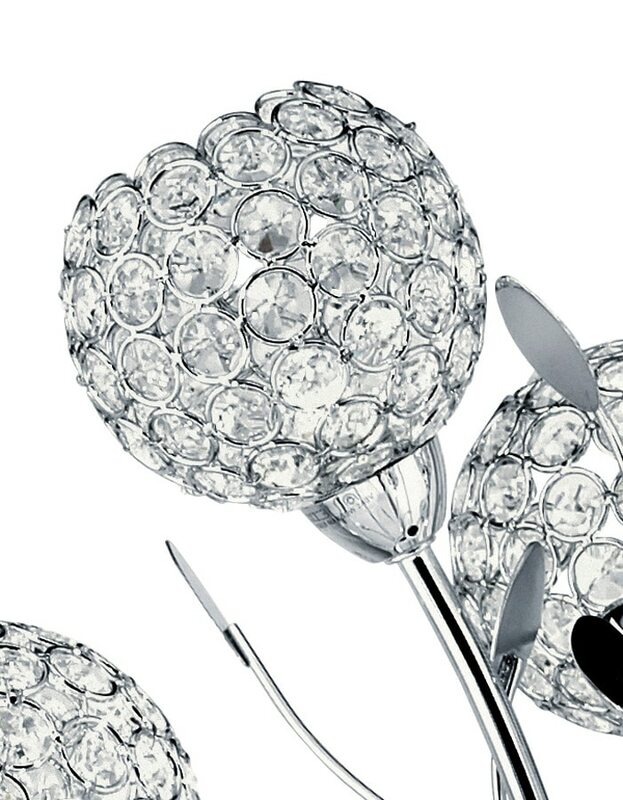 The shades are elegantly crafted flower head spheres, made from polished chrome hoops and clear glass buttons, which look stunning and create a fabulous lighting effect. 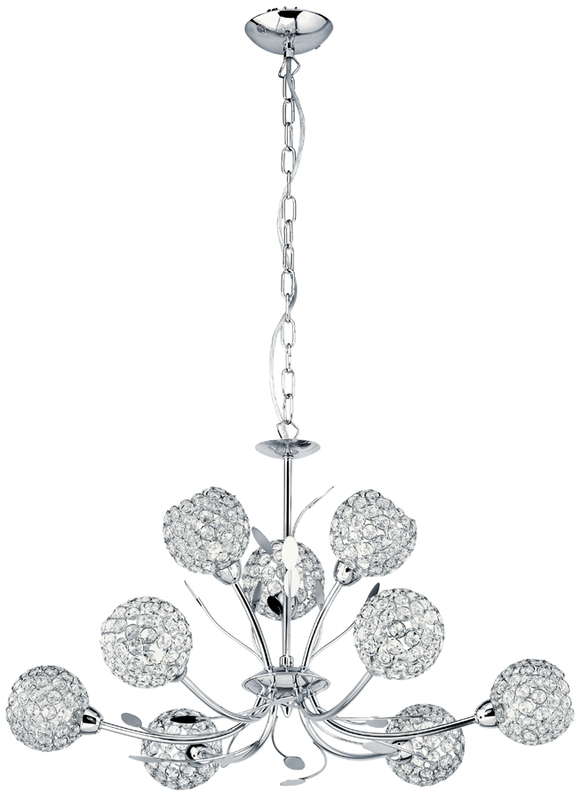 A sparkling centrepiece for your bedroom, living room, dining room or hall ceiling. 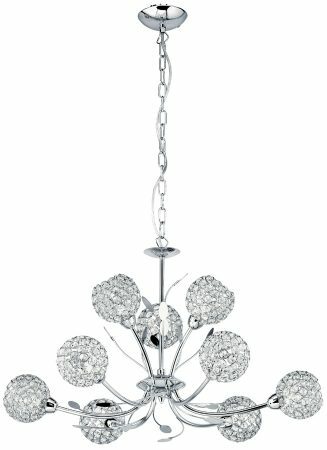 The ornate fitting is intricately finished in polished chrome and glass, and the nine flowers illuminate the room beautifully. The convertible chain suspension makes it ideal for use in rooms with a low ceiling and long drops alike. Height adjustable at the time of installation or can be fitted without the supplied chain as a semi-flush light; please see below for exact dimensions. Please follow this link to download or view the installation instructions. There is a comprehensive range of matching fittings in the Bellis clear glass shade range that can be seen below. This modern light is supplied by Searchlight who manufacture some of the best traditional and modern classic designs such as the Bellis II polished chrome 9 light chandelier with clear glass shades you see here.